I feel like I am constantly talking about how much my life has changed in the last few years. It’s funny, growing up I always clung on so hard to my identities. It’s only now I’m learning about the beauty of embracing the changing roles we all play in this life. 2018 has been a year of change. I have become a father, I have moved careers and I am moving house. Truth is, I have never been happier. So I started this blog about 5 months ago for something to do when up all night with a newborn baby. It was a place to get my crazy out and a place I hoped would become useful to other people in similar situations. In these five months we have build a little community and I absolutely love it. Never did I think a few years ago that I would be working with my family, sharing my life and experiences on the internet and feeling so at home in my own skin. I have you all to thank for that. What’s even crazier is that brands have started to reach out wanting to collaborate. Not with me as a music manager or as a marketing guy but me in the new role life has assigned me. As a family man, as a blogger and as a Dad. And do you know what? I am buzzing. With that being said…I am super excited to let everyone know that I am part of the 2018 Baby Jogger Squad, collaborating with this awesome brand over the new couple of months on all their exciting releases. Okay so let’s get stuck into it shall we. 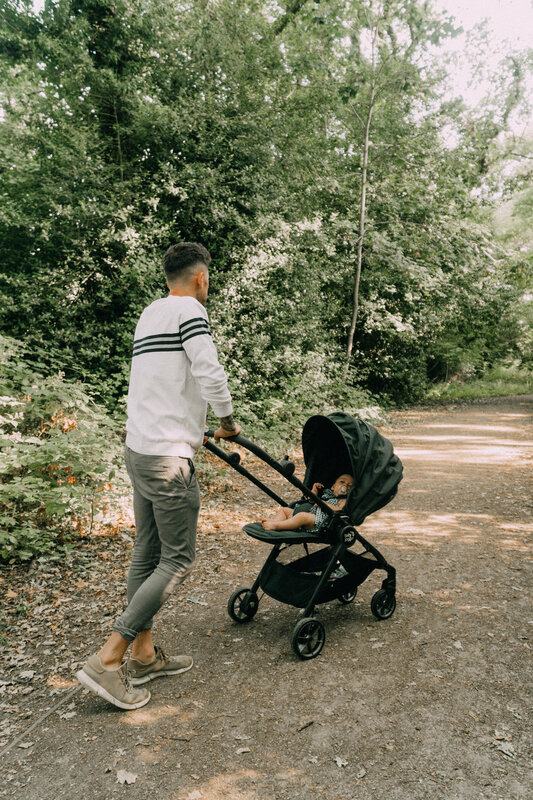 Baby jogger created the original 3 wheeled jogging stroller and has continued to revolutionise every aspect of the stroller every since. Over the next couple of months I am going to be reviewing the City Mini-GT, the City Tour LUX & City Go i-Size. As many of you know me and Daisy like to start the day with a long walk to the village and back and I have started using the City Mini-GT and absolutely love it. I will be blogging more about it at a later date but I wanna let you know one reason I am so in love with it straight away. The sun. The sun drives me crazy when I take Daisy for a walk, I’m constantly trying to get it out of her eyes and god forbid I try and use one of those umbrellas that need constantly moving. This beautiful little creation gives us enough shade to not be constantly dancing between the safety of the trees and allows us more time for good old father / daughter bonding. I’m not gonna ramble on for days on this post. I just wanted to let you know what was happening, say thank you, and remind you that although scary…change can be a beautiful, beautiful thing.